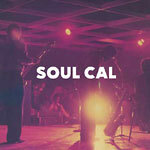 15 rare and unreleased funky disco and modern soul tracks from 1971-1982, including songs never issued on the long out-of-print Soul Cal 12'' single series. Presented as a perfect bound 80 page book printed on 150 GSM uncoated paper stock. The book is filled with rare photos and each band's story; CD comes in its own sleeve within.